a run radius of a seasonal base site, whether you are at Home, or on a Campsite or in a Storage Facility. We offer Full or Habitation Only Servicing; EICR; Damp Reports; General & Delamination Repairs. We also fit - Motor Movers. “Please do not take chances with your Caravan/Motorhome safety”. You service your car so please ensure you Service your Leisure Vehicle. All Services are carried out in line with the latest NCC /AWS guidelines. to automatically hold your place in the diary and not be disappointed. 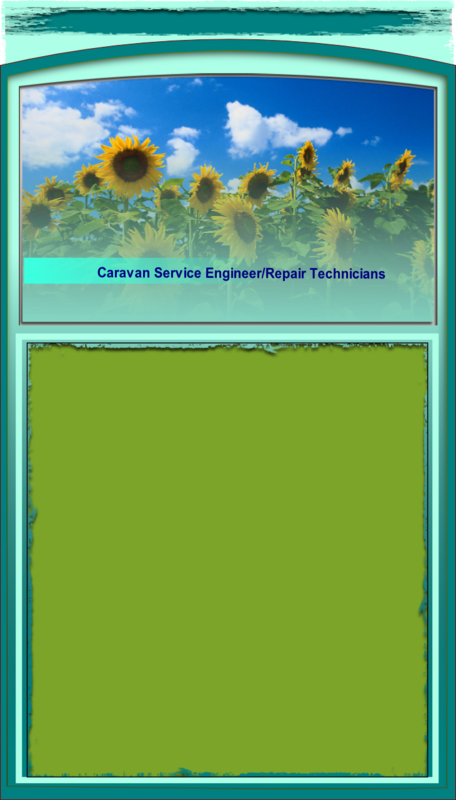 We carry out all Services and Repairs for your Caravan & Motorhome at your convenience and at your preferred location, we take all the hassle away to let you and your family enjoy life that bit more, with the knowledge that your leisure vehicle is in a Safe and Secure condition. When was the last time you checked your brake pads?